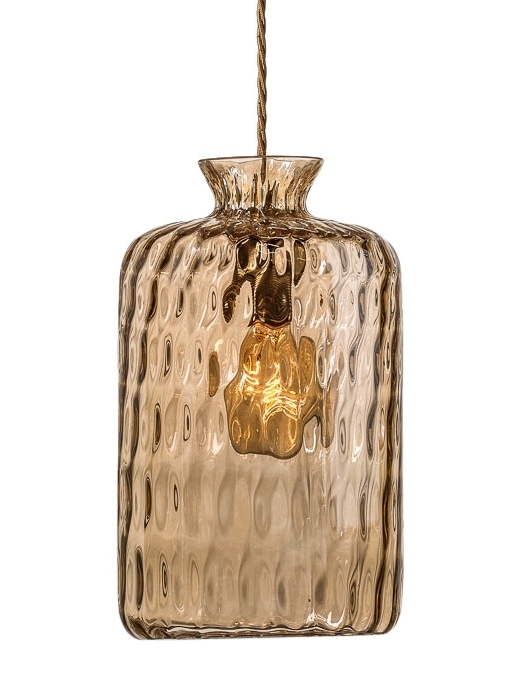 This elegant glass piece, Pillar is designed with a modern touch. Hanging from the ceiling, above your table or in a corner it lights up the room both by its marvelous presence and the actual light. 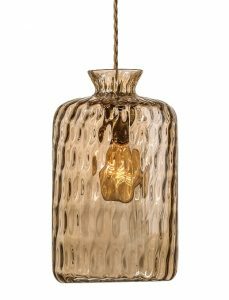 The Pillar pendant lamp is produced in mouth-blown glass, combined with brass metal fitting and 2m twisted gold fabric wire and gold metal ceiling rose. The Pillar is available in clear, coloured or striped glass.